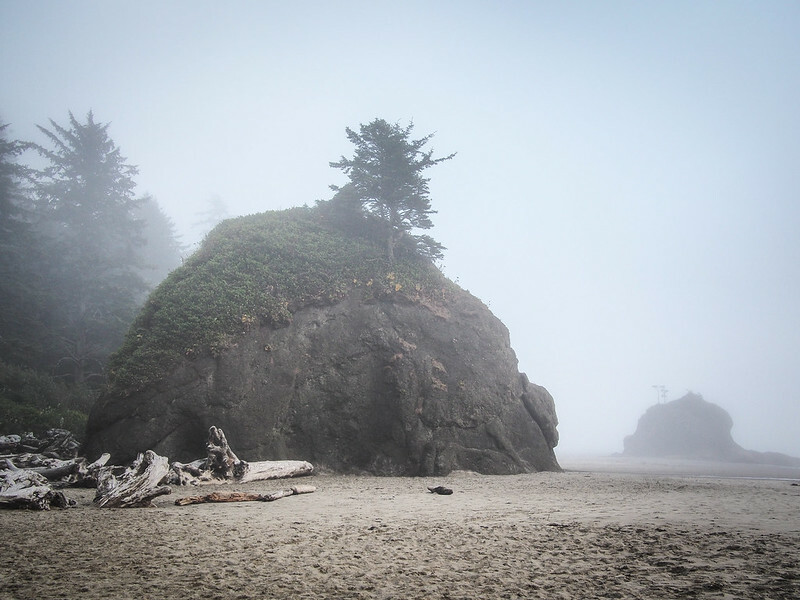 For the second part of our Olympic Peninsula trip we met up with some friends and stayed at in a cabin on the beach at the Quileute Oceanside Resort, located on La Push Beach in the Quilete Reservation on the west coast of the peninsula. 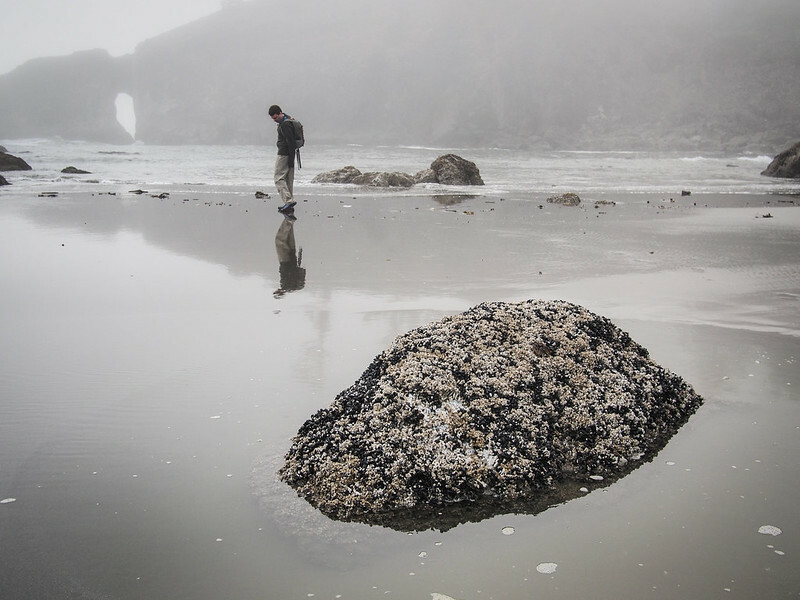 La Push beach is pretty great, but a couple of miles down the road is a place even better: "Second Beach," a victim of some utilitarian naming scheme that completely fails to pay homage to its otherworldly beauty. 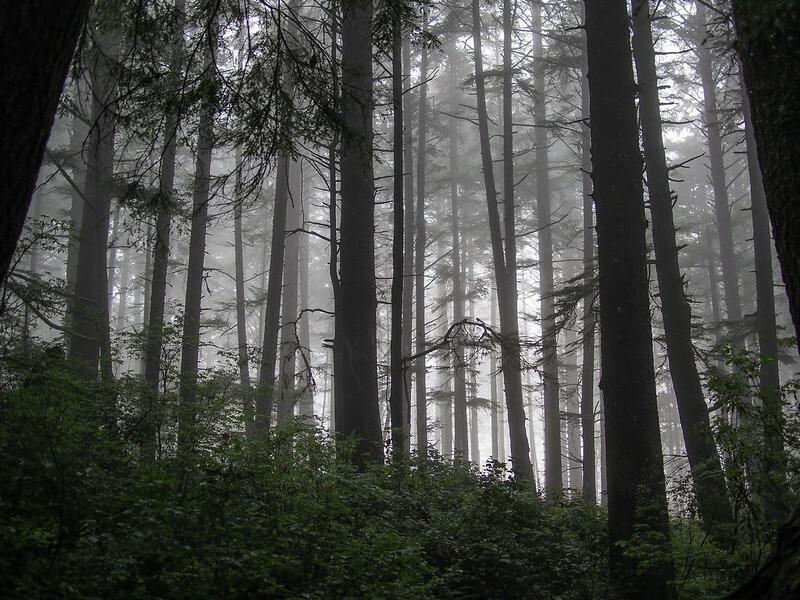 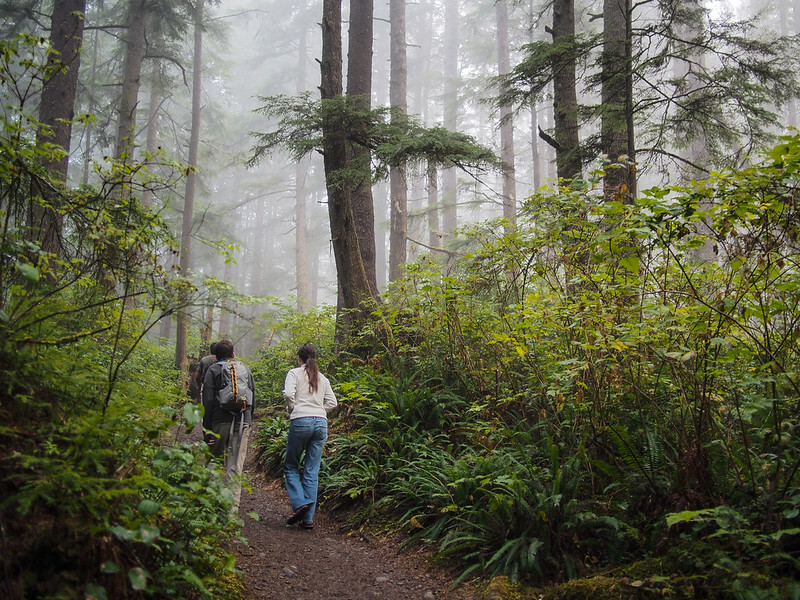 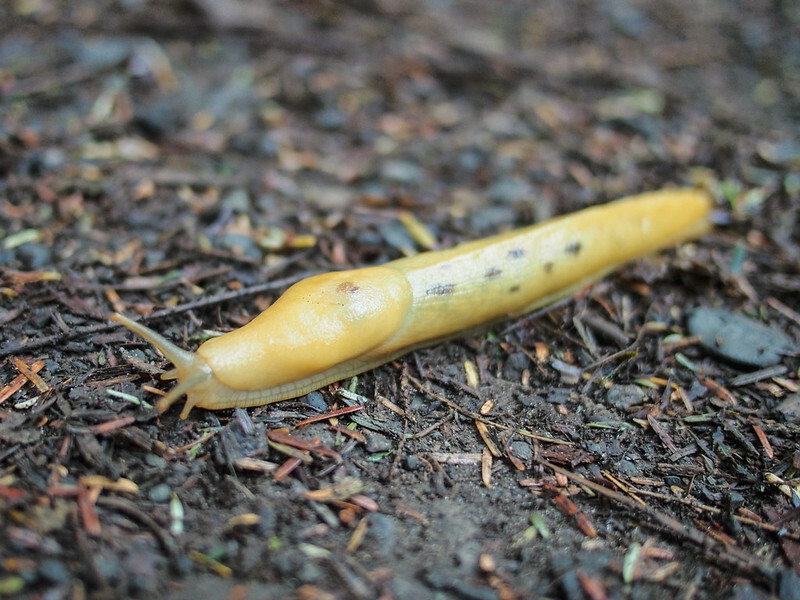 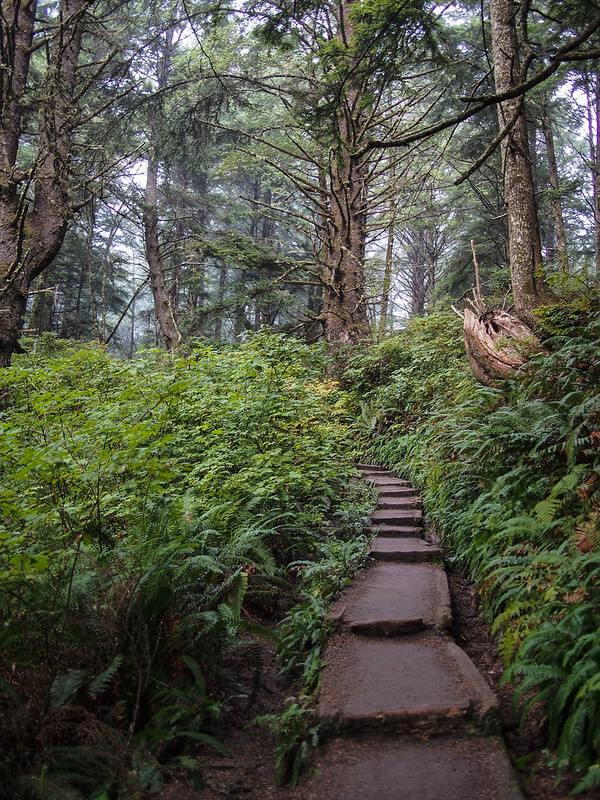 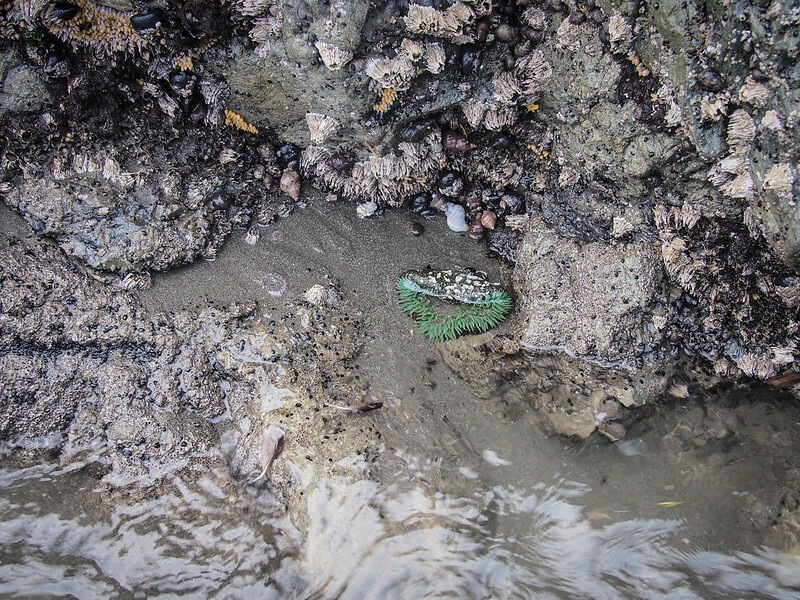 You have to hike down through one mile of temperate rain forest to reach Second Beach. 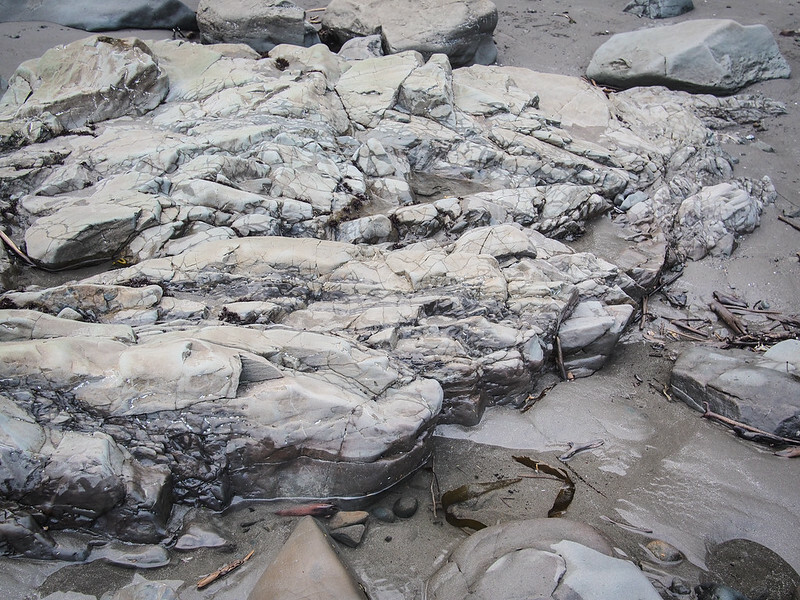 The beach is very flat so water creeps up slowly toward you for dozens of feet with every breaking wave. 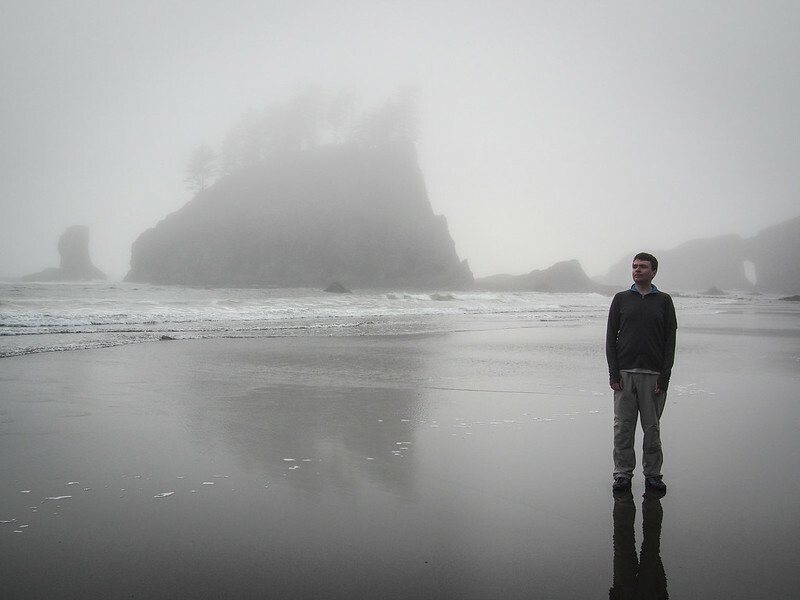 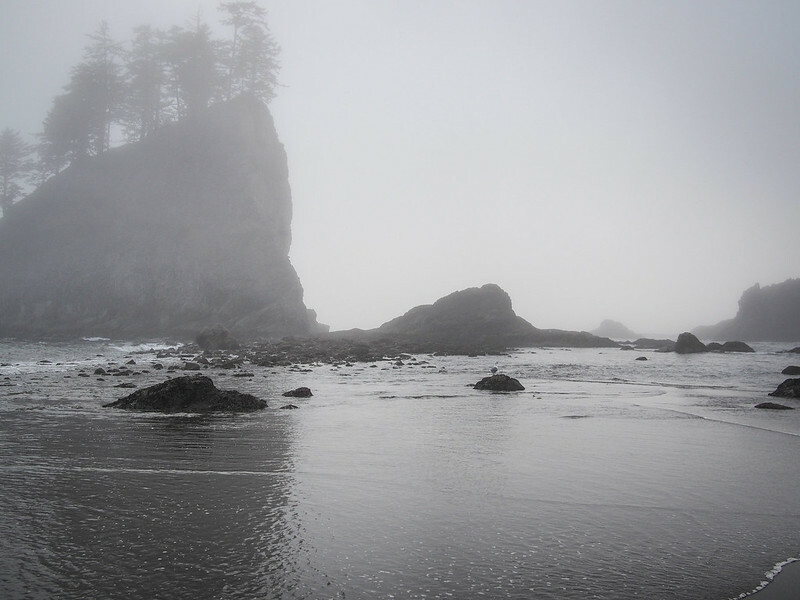 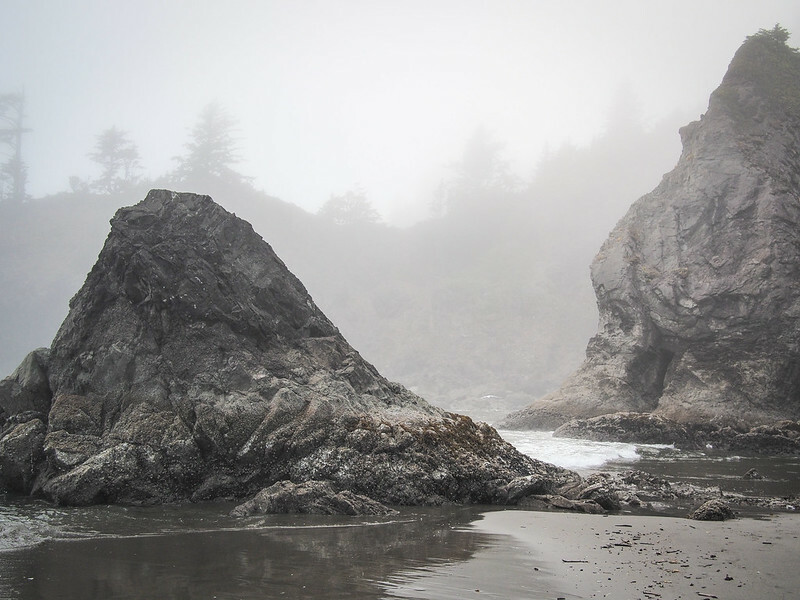 Our first visit to Second Beach was shrouded in fog, which made it all the more glorious.